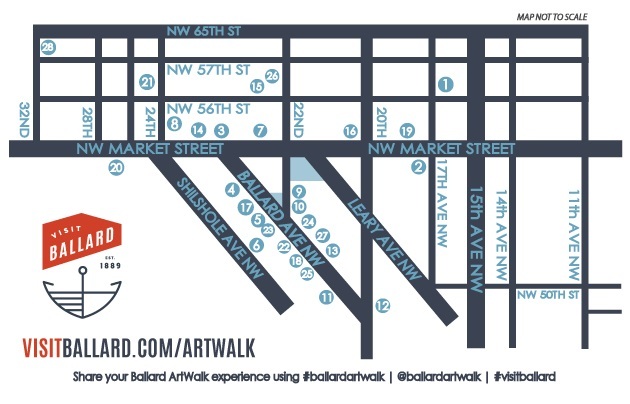 Welcome to the Ballard ArtWalk, a program of the Ballard Alliance. 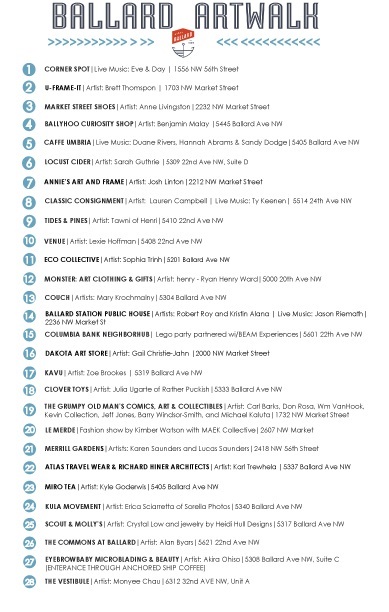 The Ballard ArtWalk is a monthly neighborhood event that celebrates the Arts and Creative spirit in Ballard, while showcasing the charm of our shopping and dining district. Take a stroll through the heart of Ballard and explore our vibrant art scene every second Saturday of the month! We are looking forward to sharing our next event with you! Each month's event offers something new to discover. 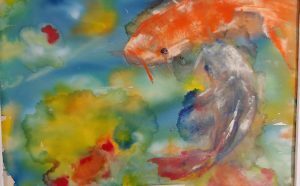 Enjoy artwork throughout the charming and walkable Seattle neighborhood of Ballard every Second Saturday of the month. APRIL 13, 2019 – MAP AND PROGRAM COMING SOON! Follow us on social media for up to the minute information about Ballard ArtWalk!